Citroen’s second generation people carrier introduced some much needed style and flair to the segment. Citroen’s first Picasso, the Xsara Picasso, was a spacious and practical thing, but so dull that it became vehicular shorthand in the BBC sitcom Gavin and Stacey for how buttoned-down and beige the character of Uncle Bryn was. Staid is a word that comes to mind. Thankfully, with the second generation, the C4 Picasso, first introduced in 2007, Citroen made rather more of an effort to make sure the car lived up to the reputation of its artistic namesake. For an MPV its styling was actually quite swish for the time, while on the inside Citroen really upped its game in terms of design, layout and quality. The longer and taller Grand C4 Picasso came with seats for seven, while the lower-slung five-seat version was, in essence, a more spacious and more avant-garde family hatch. 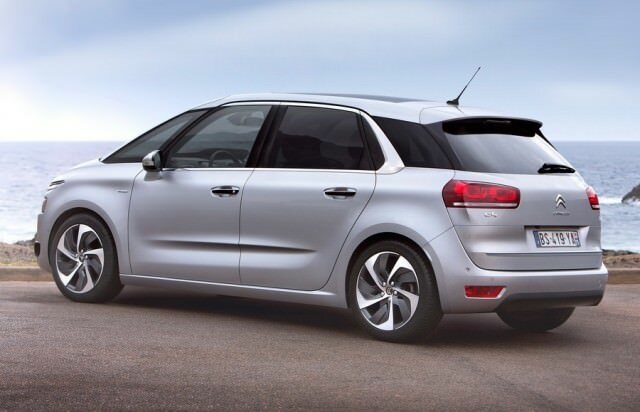 Although, technically, there were petrol and 2.0-litre diesel options available, the C4 Picasso range soon settled down into a very simple choice between a 1.6 diesel with either a manual or an automatic gearbox. Now, there’s good and bad in all three items there. The 1.6, an engine that has seen use in various Fords, Peugeot, Volvos and MINIs as well, is a terrific engine to drive – torquey and very economical – but it needs looking after. The plastic water pump is a fragile point and it needs to be kept topped up with high quality oil if it’s to give long service without ‘sludging up’. Keep an eye on the oil pump too and make sure it gets a regular cambelt change. As for the gearboxes, the manual is a little baggy and loose-limbed in its shift quality (as were all PSA Peugeot Citroen gearboxes back in 2007) but the automatic is actually an automated manual EGS ‘box that… takes… ages… to… make… up… its… mind… about… changing… gear. You’ll be nodding like a toy dog while it dithers between ratios, although a software update (and working your own driving technique around its foibles) helps. Watch for weak clutches on the EGS version too. Other than that, the Picasso is actually quite robust. There have been reports of fragile interior trim, and the seat fabrics seem to be a bit prone to wear, but any family car is going to cop some abuse in that area. Just mind the front bumper when parking. It’s a huge, one-piece unit and costs a bomb to replace if you bash it. The C4 Picasso really holds on to its value, as it’s a popular car among family motorists, but even so, buy as late a model as you can (quality was constantly improved as production went on) and around €15k should net you a nice 2012 model. We’d stick with the manual gearbox too, just to keep things simple. The C4 Picasso was so popular that, at one point, Citroen Ireland was importing used models from the UK to keep up with demand and it’s not hard to see why. It's practical, spacious and frugal with a dash of style.